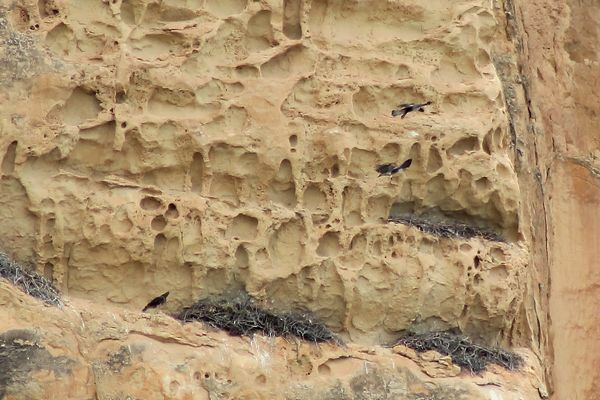 A good visit up to the Eagle’s nest where we had great views of the two adult Bonelli’s Eagles and the chick. We also saw Blue Rock Thrush and Alpine Swift. 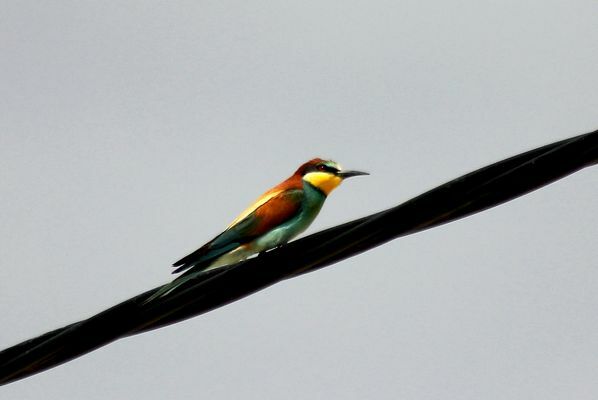 On the road up and down, a few Bee eaters, 2 Little Owls, about 6 Woodchat Shrikes and, near the arches, a fleeting glimpse of Golden Oriole plus heard lots of them singing. 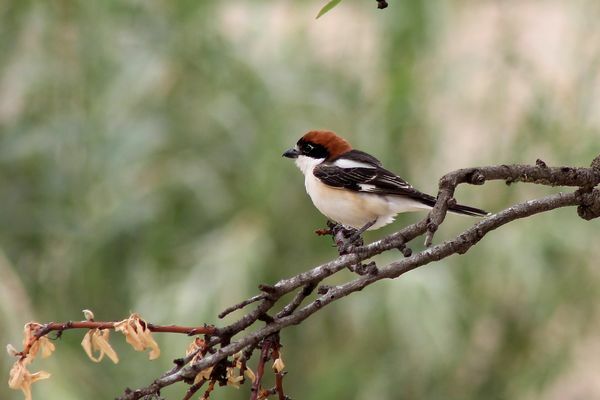 Species list – Common Swifts, Alpine Swift, Cattle Egrets, Blackbird, Magpie, Swallow, Red rumped Swallow, Collared Dove, House Martin, Woodchat Shrike, Little Owl, Hoopoe, Sardinian Warbler, Bonelli’s Eagle, Serins, Red legged Partridge, Blue Rock Thrush, Crag Martin, Linnet, Southern Grey Shriked, Golden Oriole. 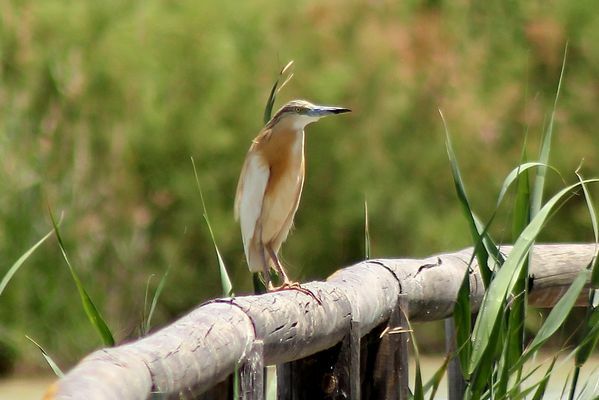 At San Felipe the star bird was a Squacco Heron perched on the boardwalk fence and a second bird flying. 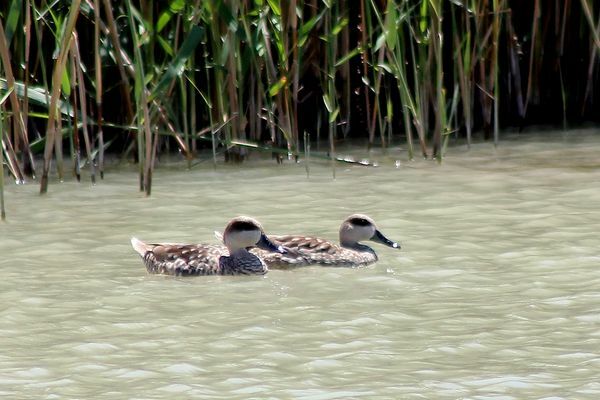 Species list – Marbled Duck, Red Crested Pochard, Great Reed Warbler, Coot, Flamingo, Squacco Heron, Red knobbed Coot, Glossy Ibis, Reed Warbler, Whiskered Tern, Zitting Cistocola.